Despite protests to the contrary, today Skybound Entertainment - the company that owns the all-important license for The Walking Dead - killed its contract with Starbreeze Studios, canceling the console release of Overkill's The Walking Dead and making the future of the released PC version uncertain. "We did our best to work with Starbreeze and resolve many issues that we saw with the game, but ultimately Overkill's The Walking Dead did not meet our standards nor is it the quality that we were promised," the company said in a statement. "We are exceedingly sorry to our fans and share their disappointment in the game. We remain dedicated to providing our fans with the most premium quality content we can offer, and will continue to look for alternative video game options for the IP." 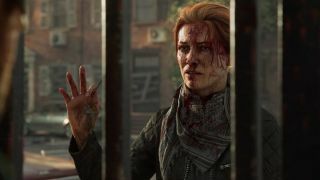 The news comes just a week after customers reported that their console pre-orders had been canceled, forcing publisher 505 Games to respond on social media. As for the PC version, which has been out in the world since November 2018, Starbreeze Studios - which declared bankruptcy late last year - has warned gamers that it's likely to start disappearing from Steam soon. "As a consequence, the product is expected to be removed from new purchases on Steam within a near future. Starbreeze and Skybound are in discussions about the agreement and Starbreeze is trying to resolve the issue to find an amicable solution with the ambition to finish and deliver season two of the game, as previously communicated," said Starbreeze in a statement. The whole situation is messier than a zombie's armpit, but one that seemed inevitable given that, in a recent interview, an anonymous developer said "everyone knew it was going to tank" and that "no matter how much we would push to do it as best we could, it got shat on. No matter how much you polish a turd, it's still a turd. It was never going to get any better than where it was. It was always hacked. Everything that was done there was - let's hack it and put it together. There wasn't much hope for most people, and what little hope there was was dead by the end of it." Even without Overkill's The Walking Dead, here are the 10 best zombie games you can play right now.